Keeping focused on websites Header set Expires "Wed, 15 Apr 2020 20:00:00 GMT" Header set Cache-Control "public"
Have you noticed how many web developers now call themselves digital marketing companies? 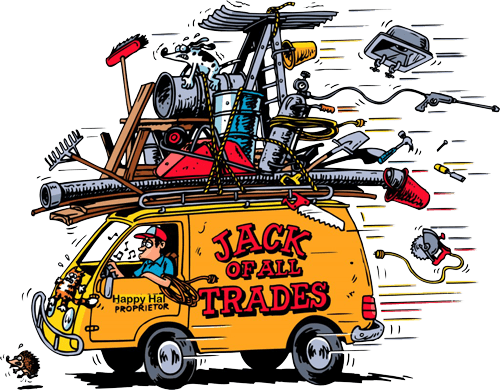 What is the term... Jack of all trades, master of none. The skill set required to create a bespoke website is quite different from that of someone with years of training and experience in marketing. So someone who is expert at creating websites is unlikely to be an expert in marketing. I have to concede that some of the larger agencies may well have expertise in these areas, but you'll certainly be paying the price. At Cavespider the focus is 100% on creating websites. That doesn't mean to say we can't offer digital marketing expertise, it just won't be us. We'll refer you to colleagues who are experts at marketing. We also have excellent people who specialise in copywriting, print, mailshots etc. So what ever the need we'll know the expert to cover it. It's well worth knowing what we're good at and that is websites. Need a bricklayer? Sorry that won't be us but I'm sure JKS Construction Ltd can help.